… to the Franciscan Cenacle of the Last Supper. 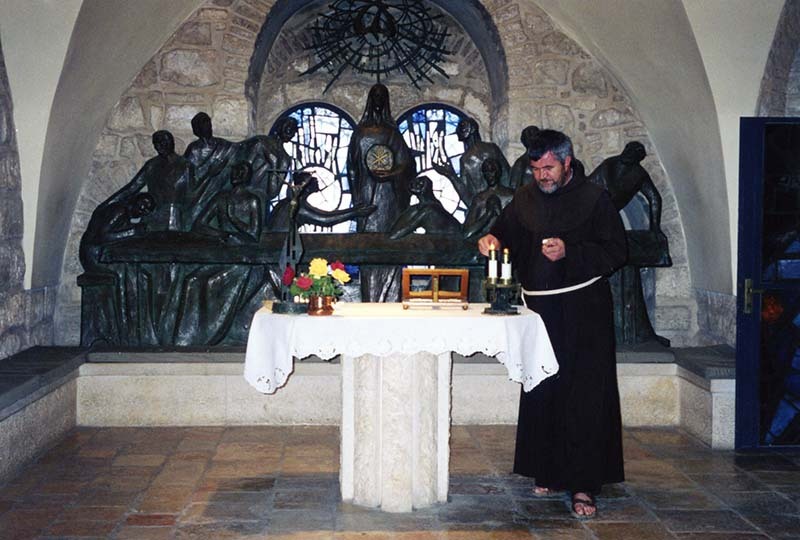 Behind this Franciscan priest is a bronze sculpture of the disciples at table with Jesus in the center. Jesus is holding a large, round Host ~ which is really a tabernacle that holds the consecrated Host.